OPEN class: Gerstl chasing new track record again? It was a well known picture, when Qualifying was finished: Ingo Gerstl (Top Speed) on top of the grid. The Austrian was followed by Rinus van Kalmthout (Mansell Motorsport) and Phil Stratford (Penn Elcom Racing). Is Gerstl aiming for the next track record? 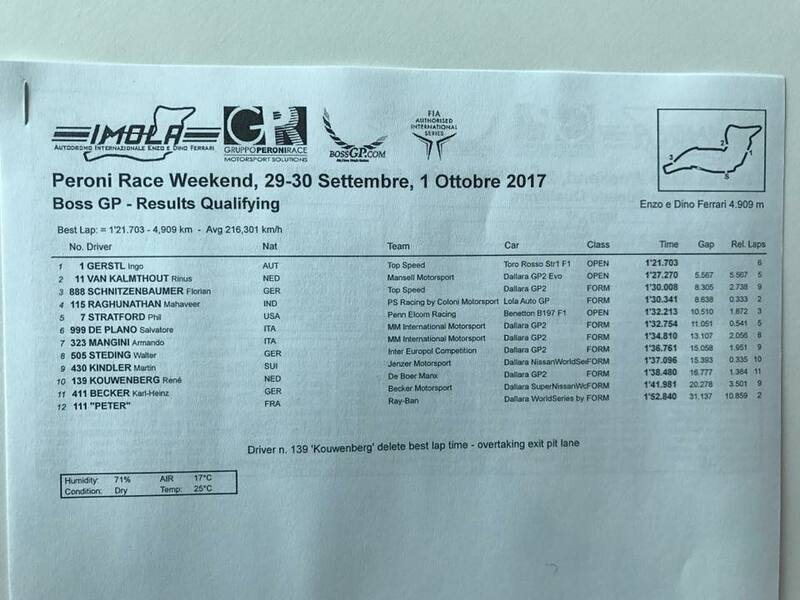 After setting up a new best lap time on the track in Brno three weeks ago at the “Masaryk Racing Days”, the Austrian showed some super fast laps on the track in Imola as well. With his best lap in 1:21,703 min he improved his time from practice session significantly (1:23,168). Current track record is set with 1:20,411 – it will be exciting to see, whether Gerstl can improve his speed furthermore and come close to the lap record in afternoon’s race (start: 3:40 p.m.). Definitely Gerstl will start the race from pole position. Gerstl was followed by Rinus van Kalmthout. 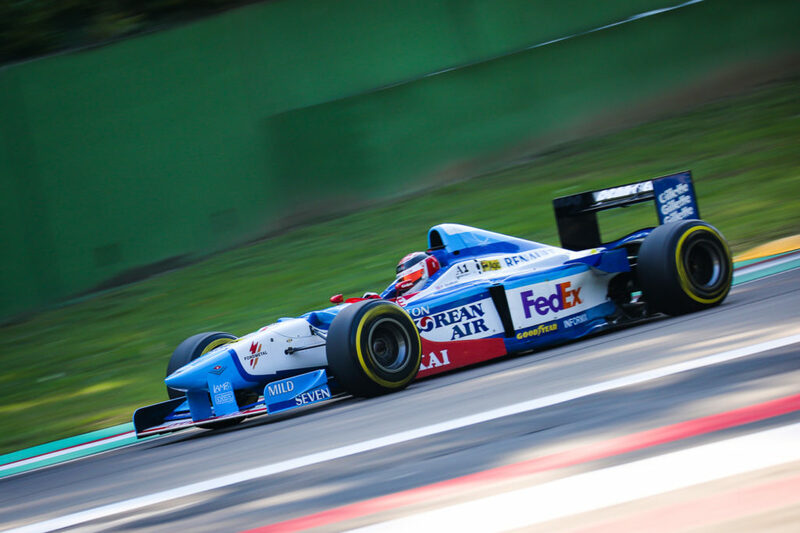 The young Dutch showed a great performance in his Dallara GP2 Evo as well and performed his best lap in 1:27,270, which means further improvement from the practice session. With not only the second best time in Qualifying, but also second best time of the overall grid (FORMULA and OPEN class), van Kalmthout will start from position 2 into the race on afternoon. Rinus van Kalmthout during Qualifying on track in Imola 2017. The OPEN class driver trio was completed by Phil Stratford. The American performed his best lap in 1:32,213, which means position 5 of the overall start grid. Florian Schnitzenbaumer (Top Speed) as well as Mahaveer Raghunathan (PS Racing by Coloni Motorsport, both FORMULA class) performed faster laps than the OPEN class driver. So it is start position 5 at the first race of the weekend in Imola for Stratford. 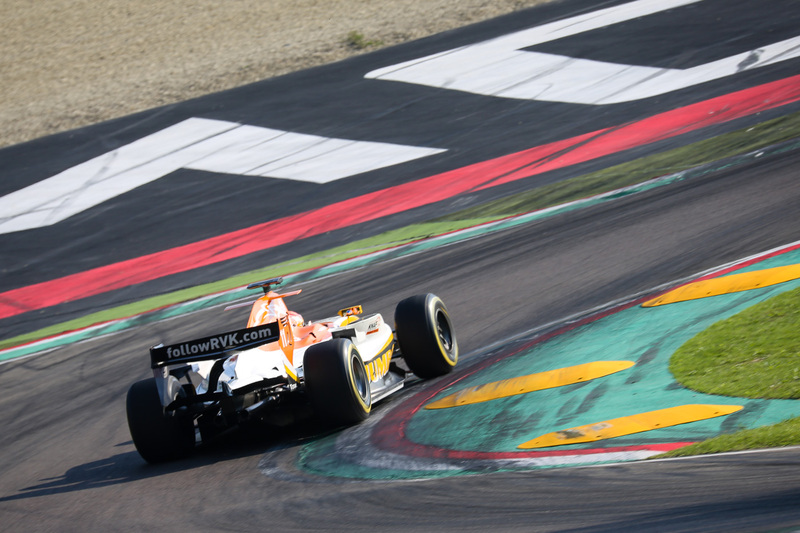 Phil Stratford on track in Imola during Qualifying in Imola 2017. Drivers and crews now look forward to the first race of the weekend, which will start at 3:40 p.m. on Saturday afternoon.